Reaching the end of the school year,Camera Zizanio -for the 16th time- is ready to accept all youth audiovisual works for the next edition which will be held from December 3 to 10, 2016. Films created by children and young people (up 20 years old) have the opportunity to travel to Pyrgos, Ilia Prefecture, and take part in the biggest festival of young artists, European Meeting of Young People’s Audiovisual Creation, as is the full title of the Camera Zizanio. 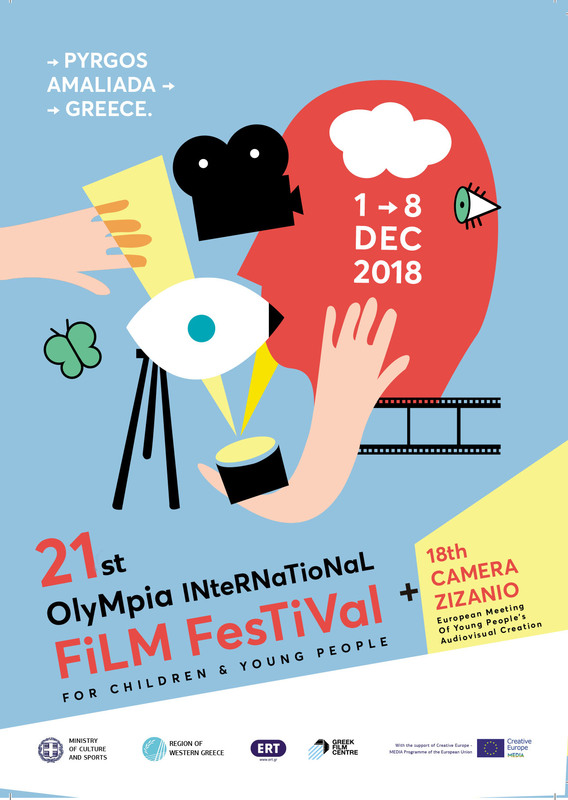 16th Camera Zizanio will take place along with 19th Olympia International Film Festival for children and young people, the festival of professional films. Deadline for submissions is October 10, 2016. Like every year, we seek to collect and screen the total of youth audiovisual creations from Greece and the most important works of young filmmakers from Europe and the rest of the world, making Camera Zizanio the biggest “Festival” of its kind in Europe. Through Camera Zizanio and its diversified activities during the year (with screening of films throughout Greece, film workshops, seminars and educational delegations abroad), we believe that we have contributed greatly so that media literacy in Greece to be considered an essential part of a modern school. This was indeed the motivating force which, despite the huge difficulties of the past few years, didn’t back away but instead continued to go forward and to conquer new peaks. We do believe that the 16th edition will constitute a high point in this struggle/battle. Screenings of competing films, film workshops (including the legendary animation workshop Zizanimation or the international workshop “Mythos Project”), master classes by Greek and foreign film professionals, seminars etc and Educational programs organized under the support of the Ministry of Education. There is no limit to the topics. We accept fiction, documentaries and animation films. The duration should not exceed 10 minutes (titles included). For any further information or clarification, please contact us via phone 0030 210 8664470 or via e-mail:camerazizanio@gmail.com.